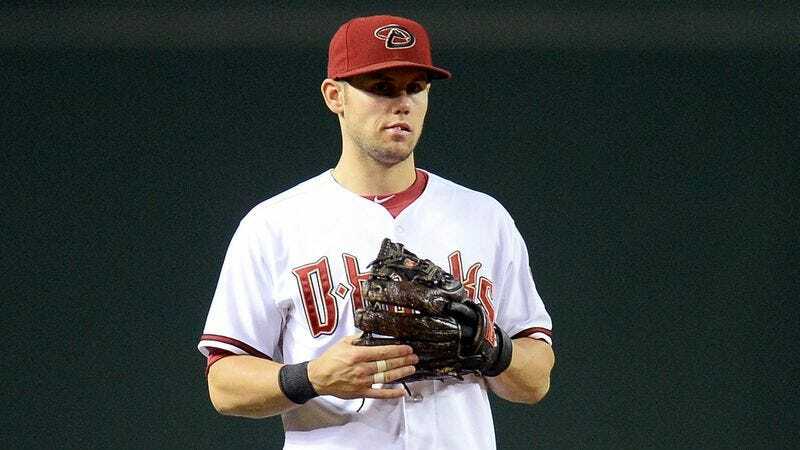 PHOENIX—Admitting that it has taken him a while to get fully oriented since being called up to the majors, rookie Arizona Diamondbacks shortstop Chris Owings confirmed Wednesday that he is still attempting to learn and memorize the names of all four bases. “I know first—that one’s pretty easy—but after that, things start to get a little tricky,” the first-year infielder told reporters, noting that his lack of familiarity with the baseball diamond often forces him to refer to a base by simply pointing at it and saying “that one.” “And I can usually remember side base and middle base, but sometimes, I blank on those, too. There are just so many of them that it’s easy to get confused.” Owings expressed his relief, however, to learn that, like him, many of his Diamondbacks teammates are unable to figure out the difference between right and left field.